Ziconic schooling this morning at Santa Anita with Mario, his mom’s statue in the background. Photo by Dottie Ingordo-Shirreffs. 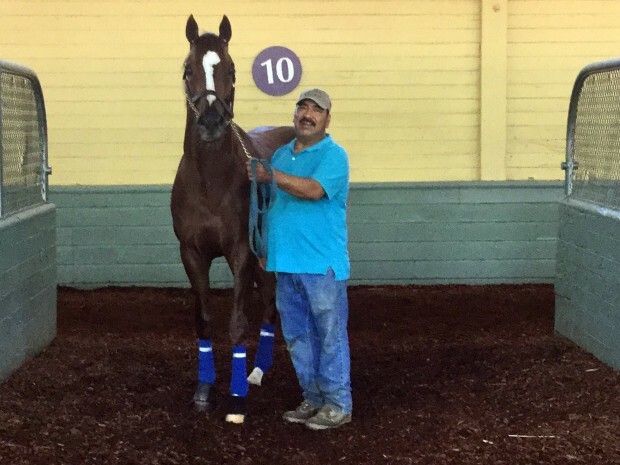 Ziconic is set to run on Saturday at Santa Anita. He’s entered in Race 8, going 1 1/16 on the dirt. He is post 10 of 11 in the field, with Victor Espinoza riding. 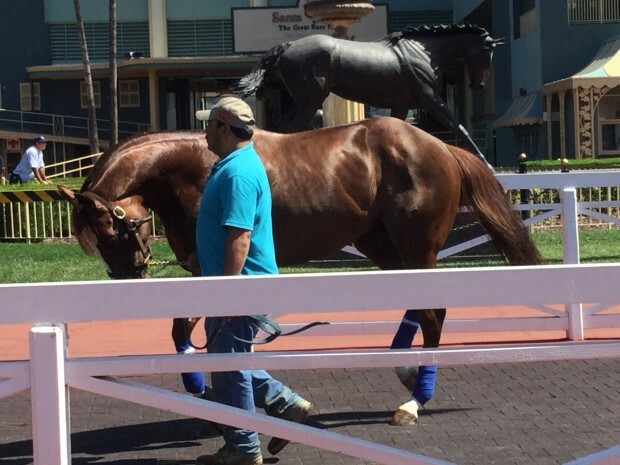 Post time is approximately 5:30 p.m. PT. Ziconic has been schooling with his pal Mario, and Dottie sent us these photos. Go Ziconic! We’d also like to congratulate the winner of our Walk of Champions Gala giveaway, Catherine Simmons of Boonville, IN. See you at the gala, Catherine! Ziconic and Mario. Photo by Dottie Ingordo-Shirreffs. How is cosmic one z doing?